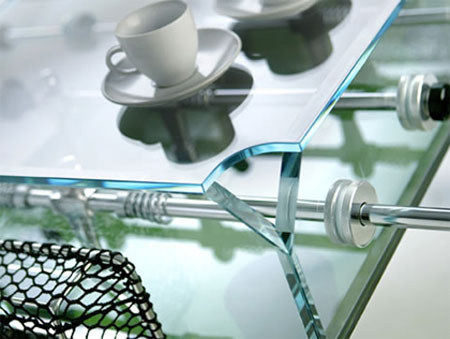 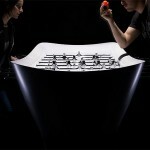 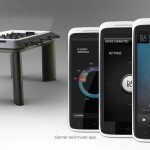 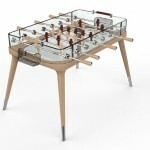 We have posted about futuristic eleven football table, but this Foosball or Table Football is more luxurious. 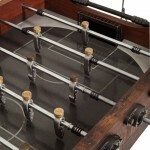 Foosball is a table top game based on soccer and is primarily played in US and Canada. 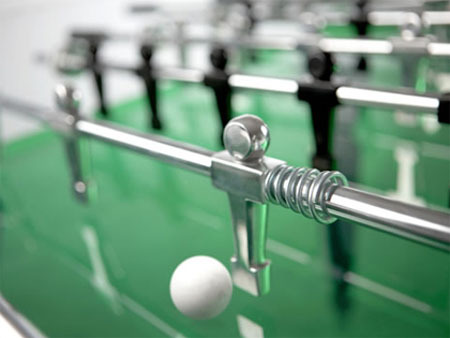 The game is played with rods wherein the key is to score goals at the opponent. 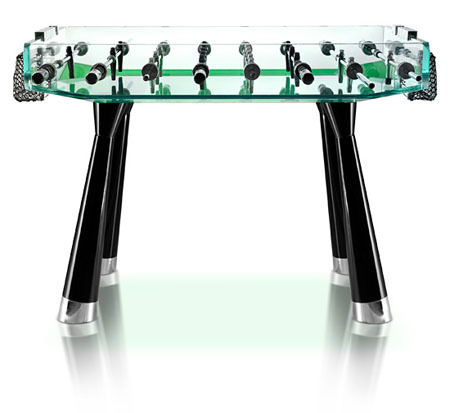 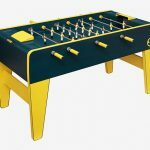 Even though the first foosball table was designed in the 1890’s, and many have been designed after tat but the one designed by Teckell collection is worth a mention as the same is elegant and luxurious. 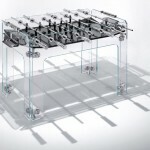 These tables come in a number of different versions, but the feature of these tables is that it is of crystal frame and shiny aluminum players, thus it can be said to be most expensive foosball table. 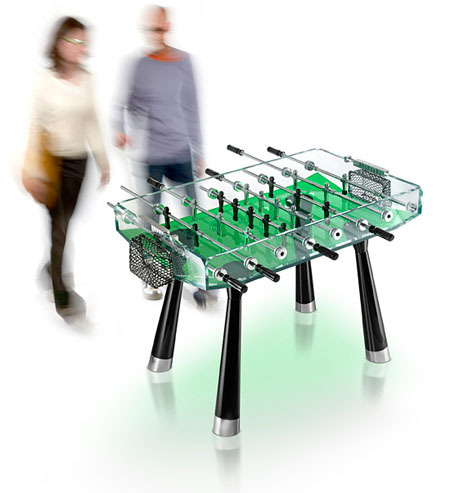 So if you are in a mood to spend money and keep having fun then this is the game for you as it is slick and stylish and has that flaunt quotient. 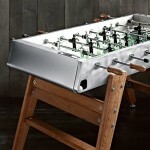 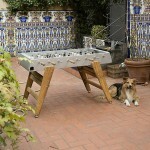 Tagged as cyrstal, football table, shiny aluminum, table football, top game. 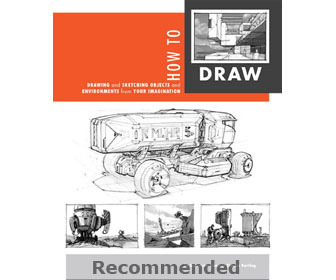 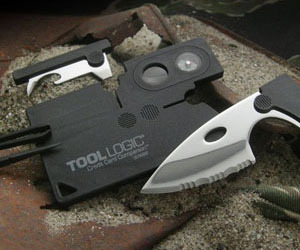 This is awesome ! 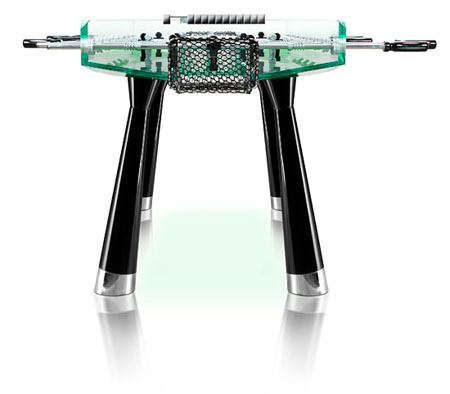 which one you refer under 500$ ?